In Germany, a company is using 3D printing technology to make food. Actual, real food that supposedly tastes good. Elderly patients living in nursing homes and assisted living facilities often have trouble chewing and swallowing. 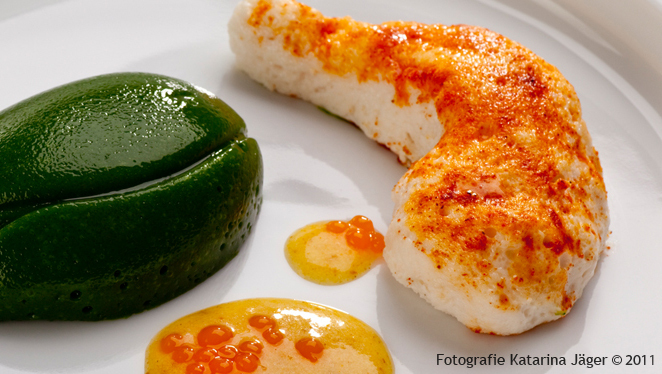 So, the European Union is funding a consortium to help further develop 3D-printed "smoothfood" that uses pureed food to create a more appetizing-looking meal. Smoothfood, originally created by a company called Biozoon, looks pretty much like regular food, and reportedly tastes it, but has a consistency of pureed food that allows elderly patients to eat without choking. Developed in 2010, the concept has been adopted in over 1,000 retirement homes in Germany, according to Wired UK. There are only six foods available as smoothfoods: Cauliflower, peas, chicken, pork, potatoes and pasta. The food is cooked, pureed, and strained, then mixed with a secret texturizer and "printed" into familiar food shapes. Sandra Forstner, the project manager at Biozoon, assured the food blog Munchies that the 3D-printed food tastes just like normal food. "It is made from fresh ingredients, so the taste doesn't change," she told Munchies. "One of our goals is not to change the flavor; the texturizing system doesn't change it." Biozoon is now working with a consortium of 14 companies from five countries called PERFORMANCE (which stands for PERsonalised FOod using Rapid MAnufacturing for the Nutrition of elderly ConsumErs), which has recieved over $4 million from the E.U. to develop the supply chain. Still, there are still obstacles before the smoothfoods concept catches on. Old-fashioned pureed dishes take less time, effort and money -- so many nursing homes have been reluctant to switch. "We found that because the meals are more appealing in terms of appearance and taste, people look forward to eating again," Mathias Kück, PERFORMANCE project coordinator and owner of Biozoon, said in a press release in April. "This is why PERFORMANCE wants to bring the smoothfood concept to the next level and industrialise it. Only then can we cut costs and also make it available for home care."